Learn about the healing art of traditional Native American healing methods. 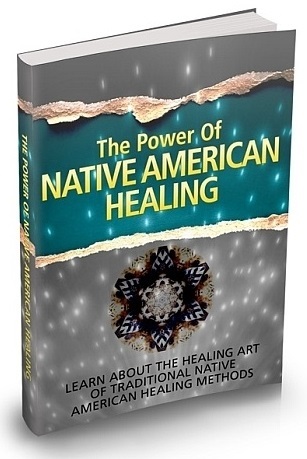 A lot of healing practices and spiritual ceremonials that are being practiced nowadays by healing practitioners and metaphysical groups have been acquired from traditions that initiated from assorted Native American tribes. Native American rituals and practices are rooted in association with all facets of life and the Great Spirit (God). Consequently, the Native American exercise of “animal medicine” covers an awareness that conveys itself when a particular animal crosses our path. The word “medicine” in Native American use and in the tradition of animal medicine concerns the healing facets that a certain animal brings to our consciousness. This would imply anything that defends, strengthens, restores, empowers, or repairs the spiritual body, in addition to the physical body. Once we’re aware of what a particular animal represents, then we may take the necessary steps to produce changes in our life according to that cognizance. Because of Native Americans’ intimate relationship with nature, a lot of therapies emphasize plants’ mind-body-spirit healing potential. The plants’ healing potency is empowered by ritual ceremony, prayer, song, or chants. The primary function of these “medicine elders” (who are not always male) is to secure the help of the spirit world, including the Great Spirit, for the advantage of the total community.